Vinaayaka Chathruthi or Ganesha Chathurthi is the Hindu festival celebrated on the birthday (rebirth) of Lord Ganesha, the son of Shivaa and Paarvati. It is believed that Lord Ganesh bestows his presence on earth for all his devotees during this festival. It is the day when Ganesha was born. Ganesha is widely worshipped as the god of wisdom, prosperity and good fortune and traditionally invoked at the beginning of any new venture or at the start of travel. The festival, also known as Vinayaka Chaturthi ("festival of Ganesha") is observed in the Hindu calendar month of Bhaadrapada, starting on the shukla chaturthi (fourth day of the waxing moon period). The date usually falls between 19 August and 20 September. The festival lasts for 10 days, ending on Anant Chaturdashi (fourteenth day of the waxing moon period). While celebrated all over India, it is most elaborate in Maharashtra, Gujarat, Tamil Nadu, Goa, Andhra Pradesh, Karnataka, Odisha and Chhattisgarh. 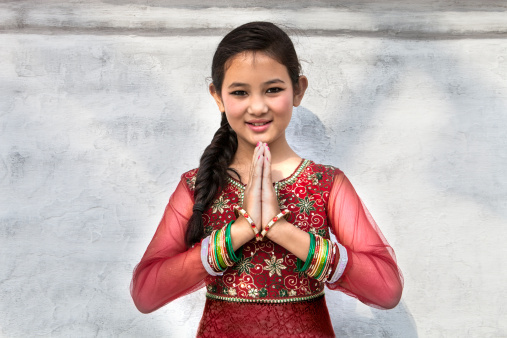 Outside India, it is celebrated widely in Nepal and by Hindus in the United States, Canada, Mauritius, Singapore, Malaysia, Thailand, Cambodia, Burma, Fiji, Trinidad & Tobago, and Guyana. Traditional Ganesh hindu stories tell that Lord Ganesha was created by goddess Parvathi, consort of Lord Shiva. Parvati created Ganesha out of sandalwood paste that she used for her bath and breathed life into the figure. She then set him to stand guard at her door while she bathed. Lord Shiva returned and, as Ganesha didn't know him, he didn't allow him to enter. Lord Shiva became enraged and asked his follower ghosts to teach the child some manners. Ganesha was very powerful, being born of Parvati, the embodiment of shakti (or power). He defeated the ghost-followers (called "Ghana"s) and declared nobody was allowed to enter while his mother was bathing. The sage of heavens, Narada, along with the Saptarshi (the seven wise rishis) sensed a growing turmoil and went to appease the boy with no results. Angered, the king of Gods, Indra attacked the boy with his entire heavenly army but even they didn't stand a chance. By then, this issue had become a matter of pride for Parvathi and Shiva. After the devas were defeated, the trinity, the controller, preserver and destroyer of the universe launched an attack against Ganesha. Amidst the fighting, Shiva severed the head of the child. And brought on Parvathi's rage. Seeing her son dead, Parvathi revealed her true self, as the Adi-shakti, the prime energy that fuels the universe and sustains matter. Taking on a terrible form, she vowed to destroy the universe where her son was killed and re-create a better one. The Gods prostrated before her and Shiva promised that her son will live again. The trinity hunted the world for a head and came across a mother elephant crying for her dead baby. They consoled the mother and fixed the head of the baby elephant in place of Ganesha's head. Lord Shiva also declared that from this day, the boy would be called as "Ganesha" (Gana-Isha : lord of the Ganas). In this way, Lord Ganesha came to be depicted as the elephant-headed God. According to the Linga Purana, Ganesha was created by Lord Shiva and Goddess Parvati at the request of the Devas for being a Vighnakartaa (obstacle-creator) in the path of Rakshasas, and a Vighnahartaa (obstacle-averter) to help the Devas achieve fruits of their hard work. The festival is observed in the Hindu calendar month of Bhaadrapada, starting on the shukla chaturthi (fourth day of the waxing moon). The date usually falls between 19 August and 20 September. The festival lasts for 10 or 12 days, ending on Anant Chaturdashi. This festival is observed in the lunar month of bhadrapada shukla paksha chathurthi madhyahana vyapini purvaviddha. If Chaturthi prevails on both days, the first day should be observed. Even if chaturthi prevails for the complete duration of madhyahana on the second day, if it prevails on the previous day's madhyahana period even for one ghatika (24 minutes), the previous day should be observed. Two to three months before Ganesh Chaturthi, artistic clay models of Lord Ganesha are made for sale by specially skilled artisans. They are beautifully decorated and depict Lord Ganesh in vivid poses. The size of these statues may vary from 3/4 of an inch to over 70 feet. The tallest Ganesha Idol made which stood 117 feet tall was situated in the city of Visakhapatnam in 2012. Ganesh Chaturthi starts with the installation of these Ganesh statues in colorfully decorated homes and specially erected temporary structures mandapas (pandals) in every locality. The pandals are erected by the people or a specific society or locality or group by collecting monetary contributions. The pandals are decorated specially for the festival, either by using decorative items like flower garlands, lights, etc. or are theme based decorations, which depict religious themes or current events. The priest, usually clad in red or white dhoti and uttariyam (Shawl), then with the chanting of mantras invokes the presence of Ganesha using the statue as a channel, or body for his energy. This ritual is the Pranapratishhtha. After this the ritual called as Shhodashopachara (16 ways of paying tribute) follows. Coconut, jaggery, 21 modakas, 21 durva (trefoil) blades of grass and red flowers are offered. The statue is anointed with red unguent, typically made of kumkum and sandalwood paste. Throughout the ceremony, Vedic hymns from the Rig Veda, the Ganapati Atharva Shirsha Upanishad, and the Ganesha stotra from the Narada Purana are chanted. Some homes buy their own small clay statue, and after 1,3,5,7 or 11 days immerse it in a bucket or tub at home, so as not to pollute public lakes or rivers. After a few days the clay is used in the home garden. The main sweet dish during the festival is the modak (modak in Marathi, modakam/kudumu in Telugu, modaka in Kannada and modagam in Tamil). A modak is a dumpling made from rice flour/wheat flour with a stuffing of fresh or dry-grated coconut, jaggery, dry fruits and some other condiments. It is either steam-cooked or fried. Another popular sweet dish is the karanji (karjikai in Kannada) which is similar to the modak in composition and taste but has a semicircular shape. In Andhra, kudumu (rice flour dumplings stuffed with coconut and jaggery mixture), Vundrallu (steamed coarsely grounded rice flour balls), Panakam (jaggery, black pepper and cardamom flavored drink), Vadapappu (soaked and moong lentils), Chalividi (cooked rice flour and jaggery mixture), etc., are offered to Ganesha along with Modakams. These offerings to god are called Naivedyam in Telugu. In Andhra, Clay Ganesh (Matti Vinayakudu in Telugu) and Turmeric Ganesh (Siddhi Vinayakudu in Telugu) is usually worshipped at homes along with plaster of paris Ganesha. Public celebrations of the festival are hugely popular, with local communities (mandalas) vying with each other to put up the biggest statue and the best pandal. The festival is also the time for cultural activities like singing and theater performances, orchestra and community activities like free medical checkup, blood donation camps, charity for the poor, etc. Today, the Ganesh Festival is not only a popular festival, it has become a very critical and important economic activity for Mumbai, Visakhapatnam, Hyderabad, Bangalore and Chennai. Many artists, industries, and businesses survive on this mega-event. Ganesh Festival also provides a stage for budding artists to present their art to the public. In Mangalore, there is a belief that the eldest son of the home should be present during pooja. Ganesh Chaturthi is celebrated in the UK by the migrant Hindu population as well as the large number of Indians residing there. The Hindu culture and Heritage Society, UK - a Southall based organisation celebrated Ganesh Chaturthi for the first time in London in 2005 at The Vishwa Hindu Temple. The Idol was immersed in the river Thames at Putney Pier. Another celebration organised by an Gujarati group has been celebrated in the Southend-on-Sea which attracts over 18000 devotees. Annual celebrations also take place on the River Mersey at Liverpool. The festival is similarly celebrated in many locations across the world. The Hindu Swayamsevak Sangh USA, an organisation of Hindus based in the US organises many such events to mark the Hindu festivals. The Philadelphia Ganesh popularly known as PGF is the largest Sarvajanik (fully contributed by public funds) Hindu festival in North America. Since 2005 the festival is conducted every year in Bharatiya Temple, Chalfont, Pennsylvania. The 10 days are marked by processions, devotional programs, cultural events, India filmi-orchestra and a weekend carnival. While the Marathi community plays a big role in organising the festival, participation from all communities such as Gujarati, Tamil, Telugu, North Indian, Bengali etc. is seen as the reason for its success and uniqueness. Celebration of Ganesh Chaturthi in Mauritius dates back to 1896. The first Ganesh Chaturthi Puja was held in the 7 Cascades Valley next to Henrietta village by the Bhiwajee family who is still celebrating this pious festival for more than a century. Over the years the festival gained such popularity on the island that Mauritian government has attributed a public holiday for that day. In Malaysia and Singapore, the festival is more commonly known as Vinayagar Chakurthi because of the relatively larger Tamil-speaking Hindu minority among the other South Asian ethnic groups. It is very common to see pictures or statues of Lord Ganesha at the entrance of homes, business premises and schools. These idols are usually decorated with flower garlands alongside offerings of fruits and sweets. Most Ganesha temples mark Vinayagar Chaturthi with morning prayers, abhishegam (ritual bathing of the deity) and free vegetarian lunch for devotees and the poor. Chariot processions organised by Ganesha temples in the evenings often attract huge crowds of devotees and tourists. It is not known when and how Ganesh Chaturthi was first celebrated. Ganesh Chaturthi was being celebrated as a public event in Pune since the times of Shivaji (1630-1680), the founder of the Maratha Empire. The Peshwas, the de facto hereditary administrators of the Empire from 1749 till its end in 1818, encouraged the celebrations in their administrative seat Pune as Ganesha was their family deity (Kuladevata). With the fall of the Peshwas, Ganesh Chaturthi lost state patronage and became a private family celebration again till its revival by Indian freedom fighter and social reformer Lokmanya Tilak. In 1893, Lokmanya Tilak transformed the annual domestic festival into a large, well-organized public event. Tilak recognized the wide appeal of the deity Ganesha as "the god for everybody", and popularized Ganesh Chaturthi as a national festival in order "to bridge the gap between Brahmins and 'non-Brahmins' and find a context in which to build a new grassroots unity between them", and generate nationalistic fervour among people in Maharashtra against the British colonial rule. Tilak was the first to install large public images of Ganesh in pavilions, and also established the practice of submerging in rivers, sea, or other pools of water all public images of the deity on the tenth day after Ganesh Chaturthi. Under Tilak's encouragement, the festival facilitated community participation and involvement in the form of intellectual discourses, poetry recitals, performances of plays, musical concerts, and folk dances. It served as a meeting ground for people of all castes and communities in times when, in order to exercise control over the population, the British discouraged social and political gatherings. The most serious impact of the festival on the environment is due to the immersion of idols made of Plaster of Paris into lakes, rivers and the sea. Traditionally, the idol was sculpted out of mud taken from nearby one’s home. After the festival, it was returned to the Earth by immersing it in a nearby water body. This cycle was meant to represent the cycle of creation and dissolution in Nature. However, as the production of Ganesh idols on a commercial basis grew, the earthen or natural clay (shaadu maati in Marathi and banka matti in Telugu) was replaced by Plaster of Paris. Plaster is a man-made material, easier to mould, lighter and less expensive than clay. However, plaster is non-biodegradable, and insoluble in water. Moreover, the chemical paints used to adorn these plaster idols themselves contain heavy metals like mercury and cadmium, causing water pollution. Also, on immersion, non-biodegradable accessories that originally adorned the idol accumulate in the layers of sand on the beach. In the Republic of Trinidad and Tobago, Radio Jaagriti, the leading Hindu radio station in the country, has actively educated the public of the environmental implications of the use of plaster of Paris murtis. Clay Lord Ganeshas have been encouraged to be used for immersion into the water courses to prevent any harmful environmental impacts. Ganesh Chaturthi is a widely celebrated Hindu Festival in Trinidad and Tobago. Yoga is practiced by about 15 million people in the United States, for reasons almost as numerous — from the physical benefits mapped in brain scans to the less tangible rewards that New Age journals call spiritual centering. Religion, for the most part, has nothing to do with it. We have taken the beginning of kali yuga as the fixed point to determine the chronological dates of the events, kings, Divine dignitaries and the important personalities of our history. It is a common understanding that kali yuga started about 5,000 years ago (in round figures) and we never had any problems in the past in accepting this fact. But only after the arrival of the English people in India, all sorts of baseless criticisms started regarding our history and religion that were promoted and fostered by them. such evidences regarding the date of Mahabharat war and the beginning of kali yuga in our history books that were destroyed by the British, still we have more than enough material to fully establish this fact. We have three eras: Kali era, Vikram era and (Shalivahan) Shak era. Before Vikram (57 BC) and Shak era (78 AD) we had Kali era, which was astrologically fixed as 3,045 years before Vikram era. All the acharyas, Jagadgurus and the people of Bharatvarsh accepted it.